I forgot my password to my bakery story due to getting new phone,my old.. I lost my bakery when I switched devices. 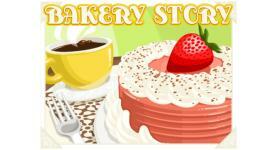 My stormID is tastytreats96,..
Make coins on Bakery story FAST!!! Is it possible to move your door in bakery story? I want to rearrange ..
How can I change my Bakery's name? Search for more answers for Bakery Story or ask your own question here. how do you get to the storage in bakery story ? Beac..
How do you get more goals if bakery story quits givin.. I lost my bakery when I switched devices. My stormID ..
Is it possible to move your door in bakery story? I w..
How do you unlock goals on bakery story ? How do you get neighbors?